EVERYTHING in Between is an upcoming performance at No Black Tie featuring Dasha Logan. Now an upcoming artist, Dasha Logan has been singing professionally for the past three years, but her journey with music goes back much longer. 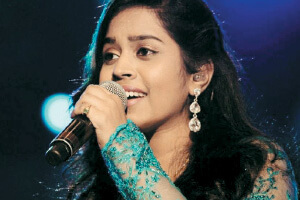 Her love for performing began at the age of four, and at 17 she was offered her first singing gig. Her performance at No Black Tie will also feature Laura Lim, Nish Tham, Dean Sim and John Thomas. Catch the performance at No Black Tie today or tomorrow, from 10pm. Tickets are available at www.noblacktie.com.my. 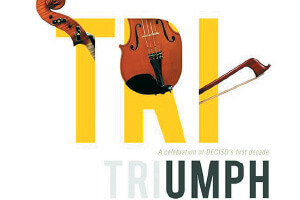 ART gallery and museum Deciso marks their first decade with an event titled TRIumph, which will feature a trifecta of string ensembles: Sutera Ensemble, Sixteen Strings String Quartet and DSCH Quartet. In this performance, they will collectively be representing energy, dedication and experience — qualities that have been vital to Deciso for the past decade. A two-day pass to the event, including full access to TRI recitals and workshops, costs RM99. The performances will take place tomorrow and on Sunday, from 3pm and 1pm respectively. For more information, call (03) 6277 6278. RETURNING to the Bobo KL stage this week is Alberto Marin, who will be showcasing his raw, passionate representation of flamenco, a professional art-form based on the traditions of Southern Spain. He will take the audience through a “fast and furious” flamenco journey, accompanied by classic Spanish songs. This performance will also feature flautist Rodrigo Parejo and singer/flamenco guitarist Carlos Sendros, hailing from Barcelona. 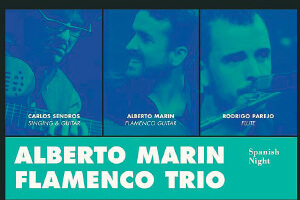 Don’t miss the performance by this exciting trio of musicians, who will be performing at Bobo KL today and tomorrow. It starts at 9.30pm and includes a cover charge of RM60++ for non-Bobo KL diners (RM45 for Bobo KL diners). Make a reservation now by calling (03) 2092 5002. 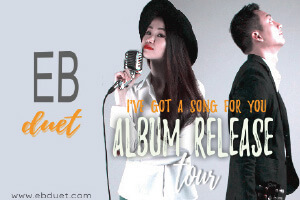 ROMANTIC musical duo EB Duet are on the offensive, with their second album I’ve Got A Song For You launched on June 21. I’ve Got A Song For You differs from the usual jazz and classical covers that they have been widely known for. Described as a “passion project”, it fuses Eve Wong’s sultry vocals with Billy Ho’s savvy strings. As the music is less complex and calmer while retaining the elements of jazz, it is said to be EB Duet’s purest and most honest musical expression. They will be coming to Kuala Lumpur to perform their songs, new and old at Commune @ Sunway Velocity Mall, in Cheras, Kuala Lumpur. The performance will take place tomorrow from 8pm to 9.30pm. FANS of music maestro, AR Rahman, should not miss a tribute concert for him taking place tomorrow, titled Retro Rahman. Rahman has won an Oscar and a Grammy for his work in Slumdog Millionare. In total, he has won six National Film Awards, two Academy Awards, two Grammy awards and a Bafta Award to date. His songs will be performed by singers Unnikrishnan, Unni Menon, Harini and Haripriya, accompanied by Anil Srinivasan and the Fort Cochin Band. The concert will take place at the Hotel Istana Kuala Lumpur, tomorrow from 6pm. 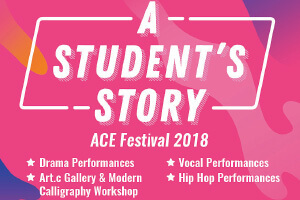 ACE EDVenture presents the ACE Festival 2018, titled A Student’s Story. The event shines the spotlight on young individuals as they express their stories of childhood and adolescence, each in their own unique way. Gather your family and friends, help yourselves to some snacks and enjoy the performance. A Student’s Story will take place tomorrow and on Sunday, from 10.30am at Sri Emas International School in Petaling Jaya. For more information on ticketing, log on to stores.aceadventure.com. 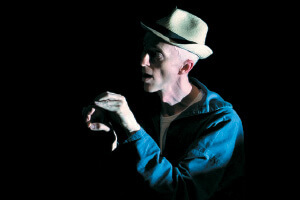 DAMANSARA Performing Arts Centre presents My Shadow and Me, featuring Drew Colby. Colby’s experience with puppets goes back to over 30 years, when he was performing with glove puppets and marionettes at the age of 12. Since, his hand-shadow shows have been featured in television programmes such as BBC and Channel Four. He was also involved in creating shadow sequences for Nintendo, Suso and Sainsburys. In My Shadow and Me Drew Colby brings together drama, music and shadow magic to give the audience an out-of-this-world experience. My Shadow and Me will be showing at Damansara Performing Arts Centre tomorrow and Sunday (11am, 8pm). For more details, log on to www.dpac.com.my. 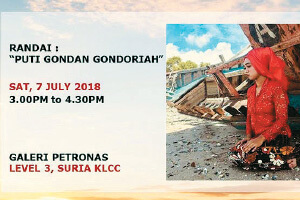 IN collaboration with the Faculty of Music and Performing Arts, Universiti Pendidikan Sultan Idris, Galeri Petronas presents a cultural theatre performance Puti Gondan Gondoriah. The play follows the romance between Puti Gondan Gondariah and Anggun Nan Tongga, and the development of their romance that follows when a parrot brings news of his nuptial with another woman. Catch this performance at Galeri Petronas, Suria KLCC, which will be playing tomorrow from 3pm. Log on to https://www.eventbrite.com to register the event for free. 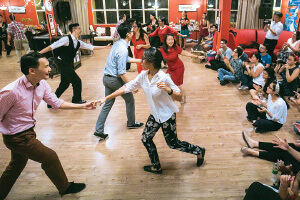 THIS weekly event at The New Star Studio is known as Swing Socials, or The Lindy Jam. You will get to learn about the art of swing dancing, as well as meet new people who are enthusiastic about dancing as you are! The Lindy Jam will take place at New Star Studio, Taman Desa in Kuala Lumpur, tonight from 9pm to midnight. The first half hour will be a free taster class, which covers the basics of east coast swing, while the rest of the time is devoted to social dancing. Cover charge to the event is RM20, which includes two non-alcoholic drinks. Find out more at www.newstarstudio.com. THE National Stroke Association of Malaysia is a non-profit organisation that provides support to stroke survivors and their families. 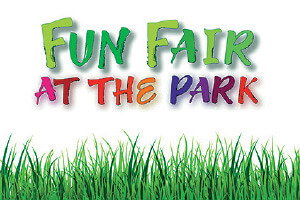 They will be hosting their long-awaited annual Fun Fair at the Park, featuring various delicacies and quality products. Back for its 20th year, the booths at the Fun Fair at the Park will feature chicken wings, roast lamb, “Char Kuey Teow”, meat pies, home-made sambal, and other mouthwatering food. Show your support and join them this Sunday, from 9am to 2pm at Taman Jaya, Petaling Jaya. For more info, feel free to visit www.nasam.org.